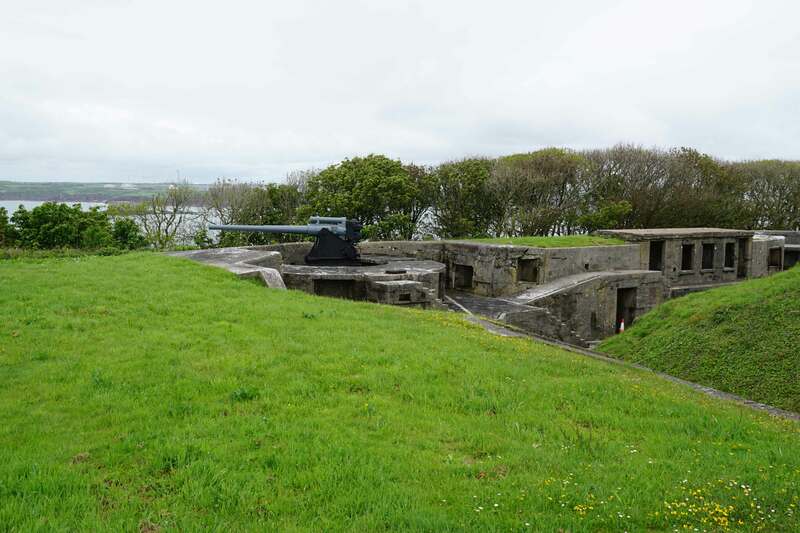 Chapel Bay Battery was a late addition to the defences around Milford Haven. Although proposed in 1860, construction did not start until thirty years later and soon after being completed was augmented by a second battery to mitigate against the threat posed by fast motor torpedo boats. It remained in use until the end of World War I and thereafter was disarmed and sold. In 1859 the French launched the first Ironclad warship ('La Gloire'; the Glory) revolutionising naval warfare. This armoured vessel outclassed anything in the Royal Navy and rendered its huge fleet of wooden warships obsolete threatening British maritime superiority upon which the country's prosperity and links with empire depended. As a result, a Royal Commission was hastily convened to review coastal defences and at Milford Haven numerous additional fortifications were built to augment existing fortifications that had been raised in the early 1850s. 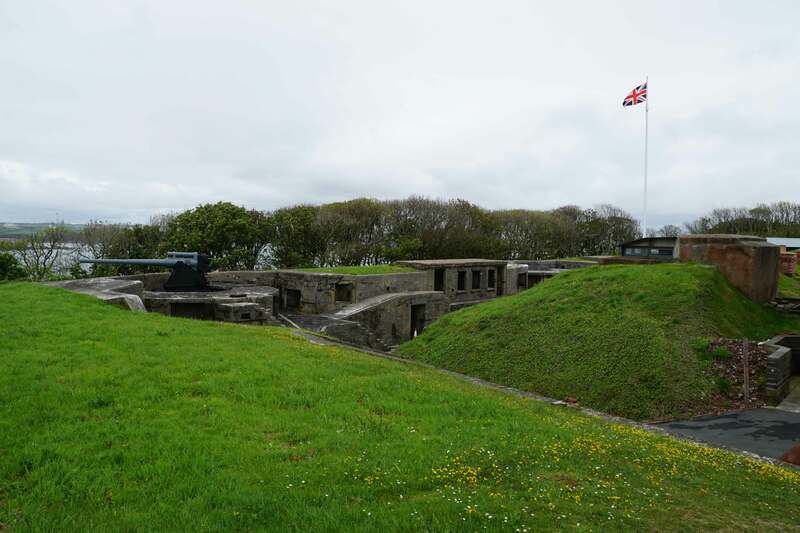 Hubberston Fort, Popton Fort and South Hook Fort were all added at this time as was Scoveston Fort which guarded the overland approaches and prevented long range bombardment of Pembroke by a land force. A battery was also planned for Chapel Bay based on a design by Colonel William Jervois. However, whilst construction of the other facilities was well under way in the early 1860s, Chapel Bay Battery was delayed and it wasn't until January 1890 that work commenced. Chapel Bay Battery was constructed on top of a cliff directly opposite the earlier fortifications at Stack Rock and South Hook. It was initially configured with three emplacements each supporting a 10-inch Rifled Muzzle Loading gun. To the rear of the emplacements barrack accommodation was provided for 7 Officers and up to 84 men. 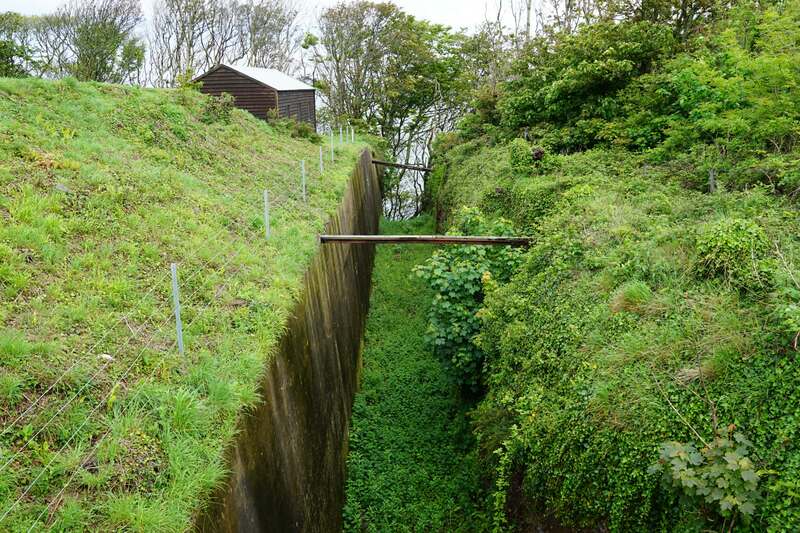 A defensive ditch surrounded the east, west and south sides of the battery whilst the north side was protected by the cliff itself. Two caponiers extended into the ditch enabling flanking fire. Within a decade of the battery being constructed, the development of the fast motor torpedo boat required upgrades to coastal defences. Accordingly a new battery was built adjacent to the existing facility between May 1898 and March 1899 which was equipped with three 12-pounder Quick Firing guns. The main battery was also upgraded between June 1900 and August 1901 with the existing 10-inch guns being replaced by 6-inch Mk VII Breach Loading guns. Chapel Bay Battery was partially disarmed in 1919 when the all but two of its guns were sent to East Blockhouse Battery. The following year these were also removed and in 1932 the battery was sold into private ownership. It was not reactivated during World War II and simply became a lay-apart area for the adjacent farm. The site was later purchased by a former Army Officer, Major George Geear, who set about restoring the site and it is now open as a museum. Phillips, A (2011). Castles and Fortifications of Wales. Amberley, Stroud. Swales-Barker, P (2013). Milford Haven Through Time. Amberley. Unknown Author (2015). Milford Haven as a Commercial Port and Harbor of Refuge: Its National Importance, Its Claims as a Dépôt for the Western Mails and Terminal Port to the Railways of Great Britain. Forgotten Books. 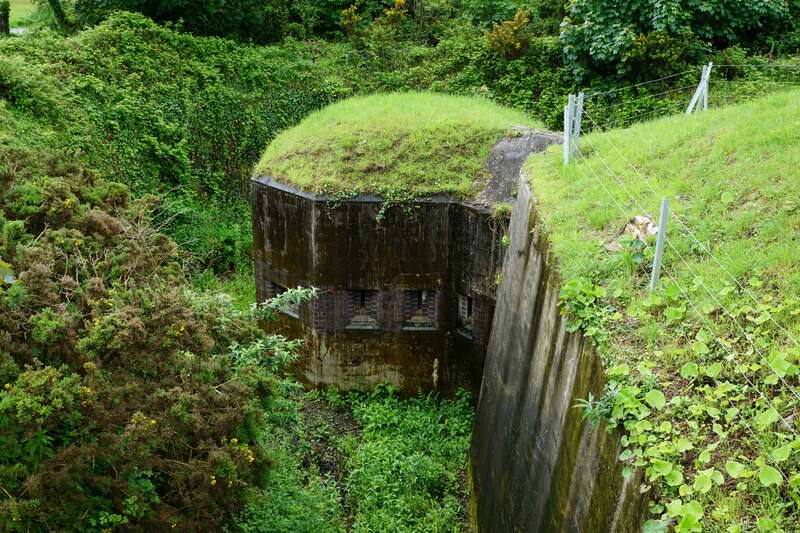 Chapel Bay Battery, often referred to as Chapel Bay Fort on literature, has recently been opened to the public. The site has examples of both types of heavy weaponry installed on the site as well as a collection of twentieth century weaponry. Highly recommended! Ditch and Access. 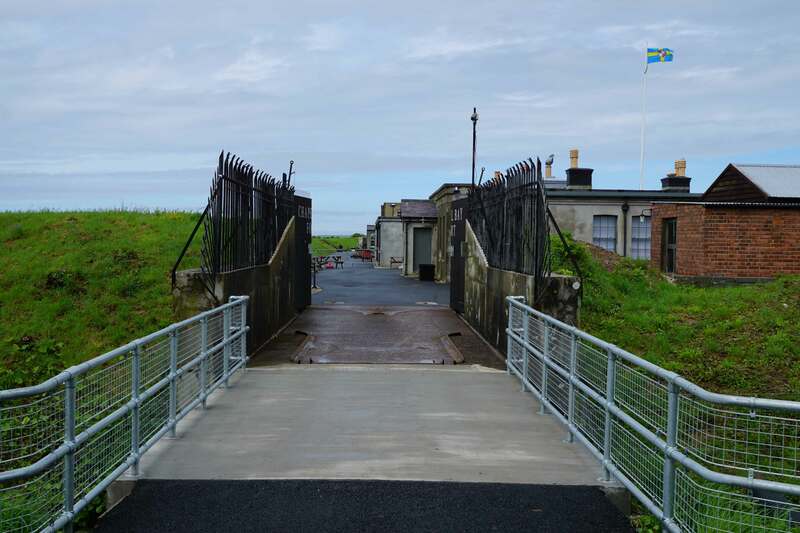 The battery was (and still is) accessed via a bridge over a dry ditch. Two caponiers were positioned in the ditch to provide flanking fire. 10-inch Rifled Muzzle Loading (RML) Gun. 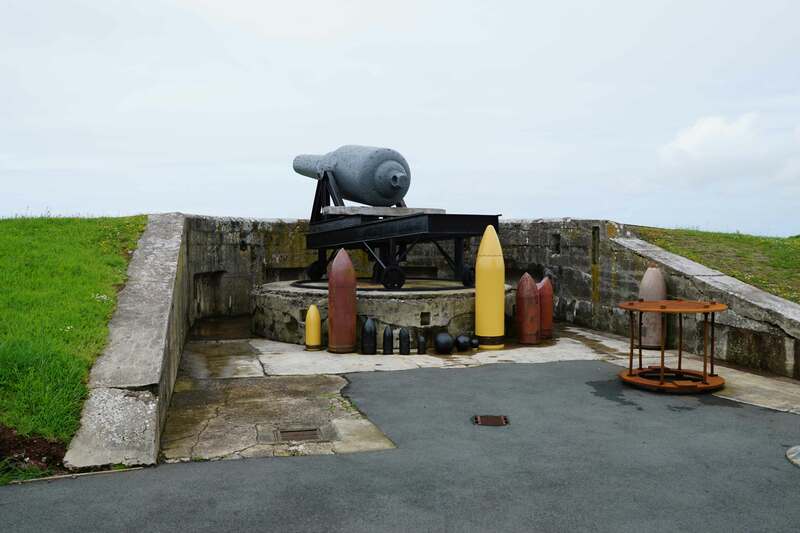 When the battery was built in 1890, it was originally equipped with three 10-inch RML guns. 6-inch Mark VII Breach Loading (BL) Gun. In 1900 the defences were modified with the 10-inch RML guns being replaced by three 6-inch Mk VII BL weapons. Milford Haven Forts. The Royal Navy established a dockyard at Pembroke in 1815 and thereafter Milford Haven was heavily fortified. Although Chapel Bay Battery was proposed in 1860, the facility was not built until 1890-1. 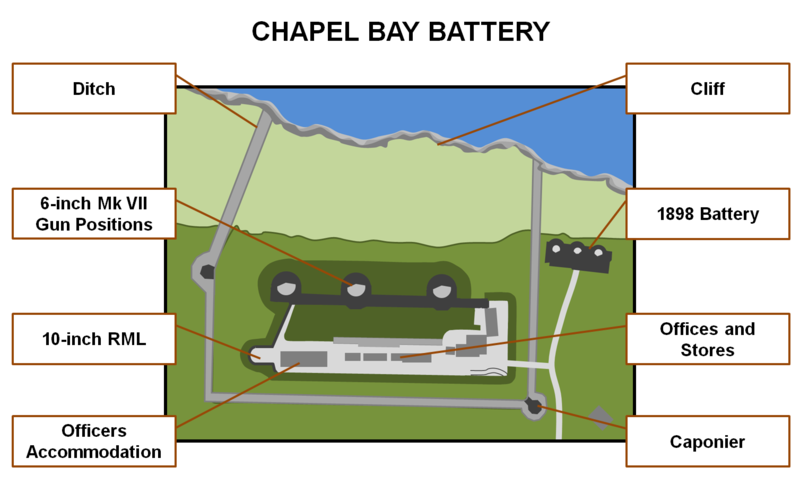 Chapel Bay Battery Layout. The site was surrounded on three sides by a ditch whilst the cliff provided protection to seaward. An additional battery was built in 1898 to deal with the threat posed from fast motor torpedo boats. Chapel Bay Battery can be found to the west of Angle. A private road, recently resurfaced, provides access to a small car park. Alternatively the battery can be accessed from the Pembrokeshire Coastal Path which also offers good views of Thorn Island Fort.